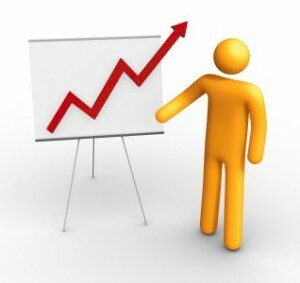 The Search Marketing sector when it comes to website promotion continues to grow. Online marketers are on the constant lookout to improving as well as attempting to stay ahead of the curve. They’re in a constant battle to seize a bigger slice of the e-commerce pie while at the same time boosting their ROI. The most effective ways they’re able to do so is by developing better paid search engine marketing results. Everybody however is listening to the same guru’s or reading the same books and then applying the same or similar techniques. So how can you as a Web marketer stand out among the crowd while lining your pockets with money or responsive email addresses. This can be an enormous challenge for most in the continuously evolving and ever moving target that is online marketing. There are however a few simple and to some, obvious steps which may at times be overlooked by the majority of the search marketing professionals. These are steps that you can implement immediately to boost your traffic and online presence. The areas to focus on are continuous testing, device targeting and account structure. Although these categories may seem like a no brainer to some, they are the most common missed factors by many. It’s just too easy to get involved in the day-to-day administration of your site and just lose your focus of the need to continuously monitor and test each and every aspect of your Google paid search campaign for instance. There’s the precise ad copy, the relevant keywords, the landing or squeeze page, geo tracking and the bidding process. So a good rule which you should follow is, where there’s a decision that needs to be made, that presents an excellent opportunity to test. • Monitor all of the external factors. Your competitors ad copy will usually have an direct impact on your ad copy’s performance, so it’s important that you don’t just reside in your adCenter or your AdWords account. Make sure that you use Google’s Ad Preview Tool so you can get an idea of what the searcher sees. There’s been numerous occasions where the expectations don’t quite match the expected results. However, by testing your ad copy, that should provide the answers towards your assumptions on which of your ad should attract more traffic. You’ll also find out which of your landing pages will convert better before your campaign goes online. Since mobile device searches on the various search engines are going through the roof, the targeting capabilities which are available for paid search advertisers are getting fine tuned as well. Google’s recent report on their retail blog indicated that the latest “back-to-school” year saw an increase of close to 550% percent in mobile searches by smartphones and tablet PCs. With this type of exponential growth, all online advertisers need to begin taking advantage of the available targeting capabilities which are available to them. Google as well as adCenter allows you to be able to specifically target mobile devices and/or desktop searches separately. When using Google, specific device targeting is at the campaign level, allowing advertisers to drill down to specific device operating systems as well as the mobile carriers. Google has reported that the advertisers who differentiate mobile as separate campaigns are experiencing an increase in click through rates (CTR), of around 12.5% percent, when compared to their combined ad campaigns. If using adCenter, mobile device targeting is performed at the ad group or campaign level. The options for targeting includes all of the different types of devices, including smartphones, tablets, laptops, desktops along with all the other devices which has an OS system. Keep in mind that the basic ad group settings will always trump your campaign settings, so you would have to change them manually. When you add this precise level of targeting, that will allow you to be able to monitor performance for mobile devices separately, or manage bids to the specific ROI of the mobile device. You can also set your daily budgets for mobiles separately, while adjusting ad copy for the ads which you know will be displayed on the mobile devices. Evaluating the performance at more granular levels refers to you being able to be better prepared so you can drive higher ROI on any future marketing efforts, while accurately anticipating response levels. Your basic account structure is the foundation for everything that you manage online, which includes: ad copy, keywords, budgeting and device targeting. For instance, it’s important that you regularly revisit how the accounts are set up and managed. The account structure which may have worked just a few short months ago may need to be tweaked or updated to make way for the latest new features as well as ad extensions. Google Sitelinks for instance is an ad extension which helps users to navigate your website easier. Since Google Sitelinks is set up as well as managed at the campaign level, all of the ad groups which are within a campaign shares the same Sitelinks. This is a excellent example where you’ll need to consider whether or not to completely restructure your account to ensure that your Google Sitelinks are completely relevant to the search query. To be more specific, say that an apparel company is using Sitelinks. They may need to separate the women’s and the men’s categories into different campaigns to make sure that when a visitor happens to search for products which are for women, they’re not shown Google Sitelinks for menswear. For getting better Quality Score, it’s always important that you keep a limited number of keywords in each of the ad groups to ensure relevancy to the ad copy. Since focusing on keywords as well as ad copy updates are important, make sure that you revisit your account structures organization regularly to maximize your results. Search engine marketing as you know is ever evolving. However, if you develop the proper foundation and put it in place, as well as using all of your targeting options and testing at key times, you should be able to see your search marketing efforts improving and delivering positive results.